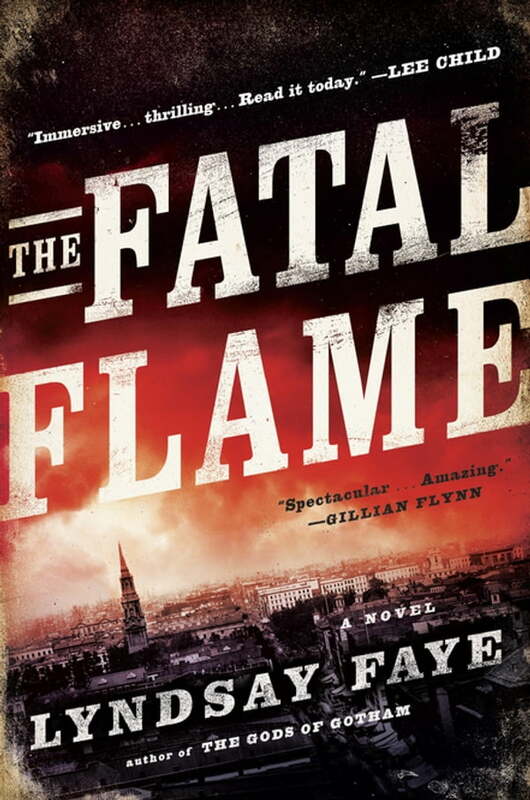 No one in 1840s New York likes fires, copper star Timothy Wilde least of all. After a blaze killed his parents and another left him with a terrible scar, he has avoided flames of all kinds. So when a seamstress turned arsonist threatens Robert Symmes, a corrupt tycoon high in the Tammany Hall ranks, Timothy isn’t thrilled that Symmes consults him. His dismay escalates when his audacious and charismatic older brother, Valentine, himself deeply politically entrenched, decides to run against the incumbent, who they suspect is guilty of assault and far darker crimes. Immediately after his brother’s courageous declaration, Timothy finds himself surrounded by powerful enemies who threaten to harm those he cares about most. Meanwhile, the love of Timothy’s life, Mercy Underhill, unexpectedly appears on his doorstep and takes under her wing a starving Irish orphan who may be the key to stopping the combustions threatening the city—if only they can make sense of her cryptic accounts. The closer they come to deciphering her wild tales of witches and angels, however, the closer Timothy comes to the fiery and shocking conclusion that forces him to face everything he fears most.